This home defines open floor plan! 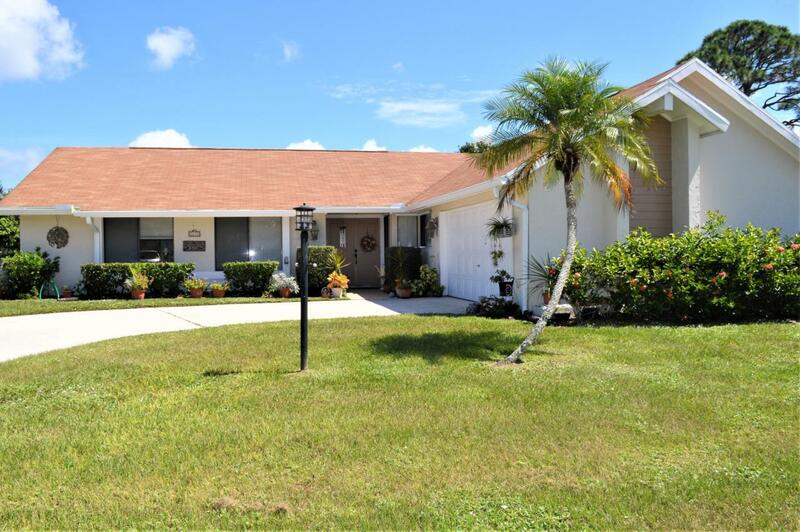 Large wide open and bright Sandpiper ranch home on 1/3 acre lot. Recently updated throughout. Granite kitchen, diagonal tile floors in living areas. New roof 2012. Hurricane shutters were added this year as well as gutters. Double doors lead to large master with huge updated en suite. 2 additional large bedrooms share updated guest bath with new glass shower enclosure. Large open patio and yard will easily accommodate a pool! Oversize 2 car garage with freshly painted floor. Sold with a one year home warranty for worry free living in the highly desired Sandpiper neighborhood!